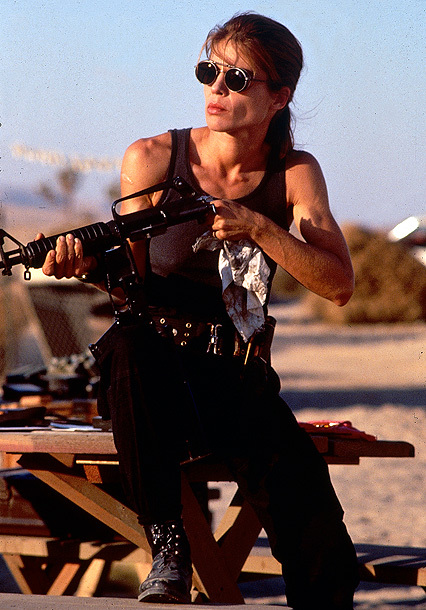 Artemis Women in Action Film Festival is proud to honor Linda Hamilton with the Artemis Action Icon Award for portraying a powerful female character which is iconic to this day. We couldn’t name a better Icon! Ms. Hamilton’s portrayal of Sarah Connor in Terminator 2 created a an amazingly powerful female image of passion and commitment that has continued to be vital and inspirational to this day! 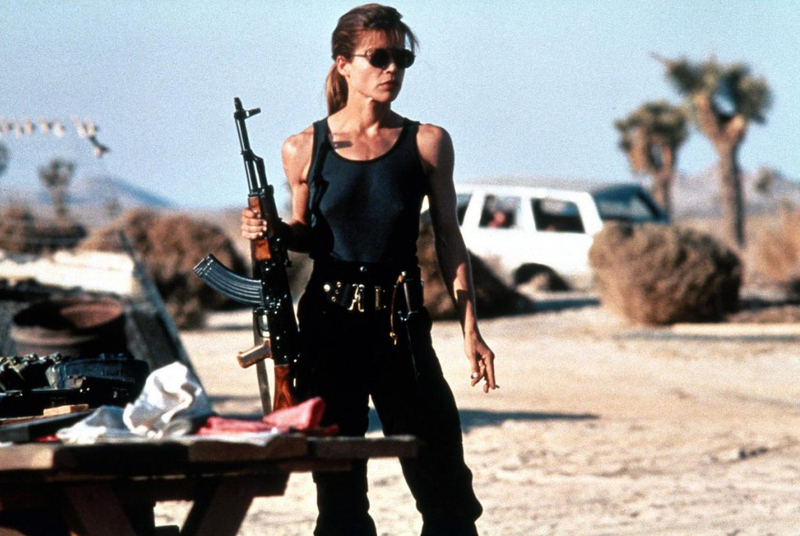 Her intensity, along with her amazingly chiseled body, Ms. Hamilton’s Sarah Connor was as heavily involved in the action as Arnold Schwarzenegger! Even after 20 years, she is still one of the first people fans think of when you mention “women in action”! Click here to view Ms. Hamilton’s IMDb page. Linda as Sarah Conner on the set of Terminator 2.